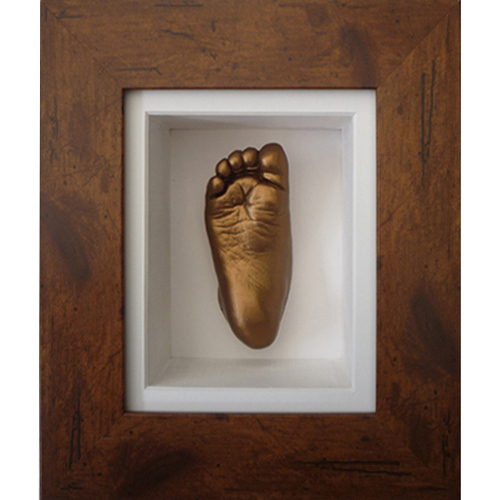 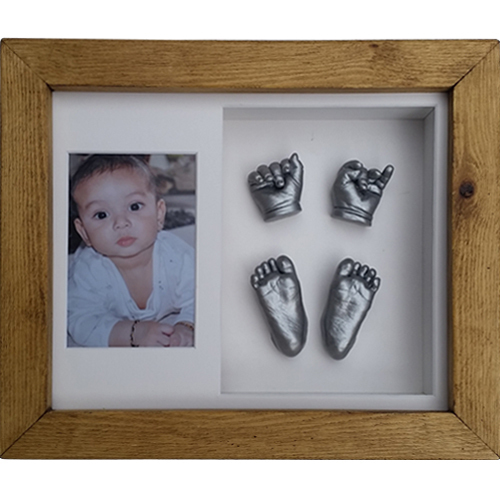 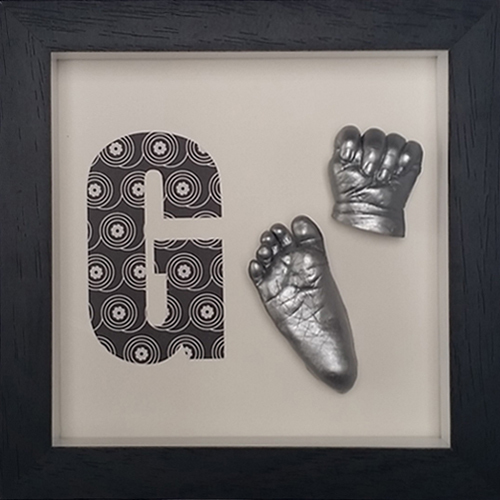 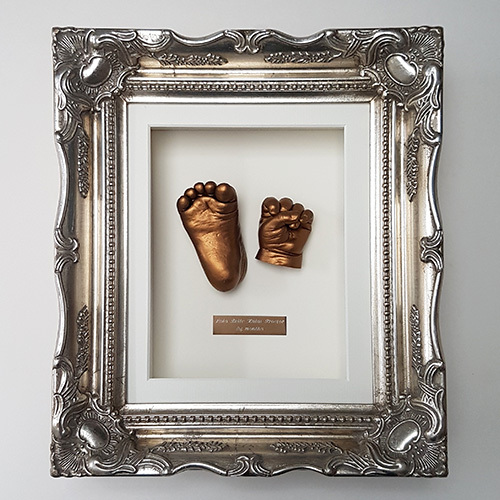 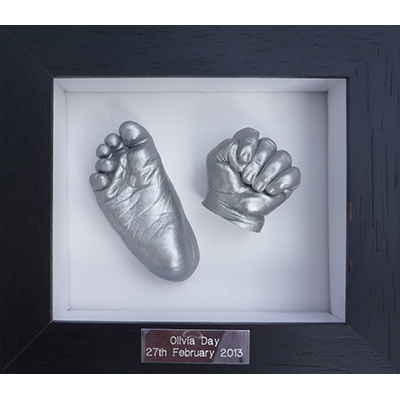 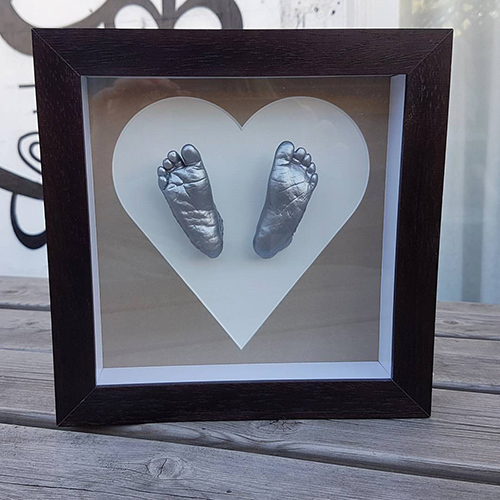 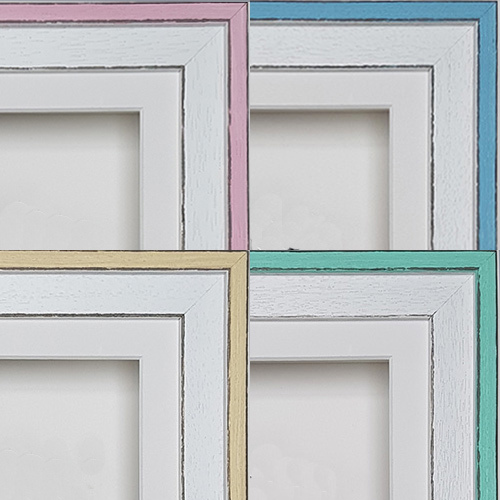 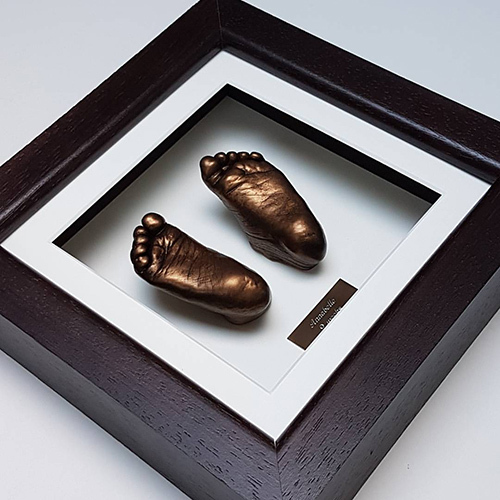 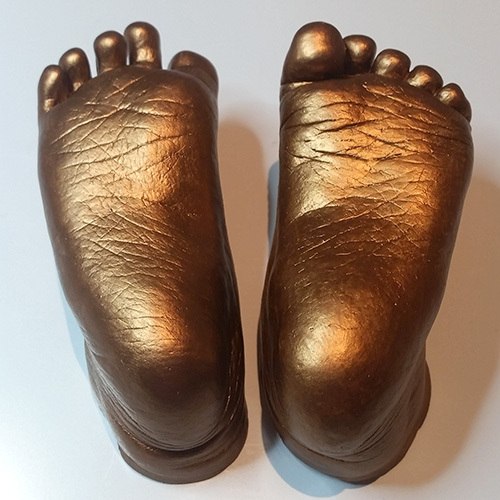 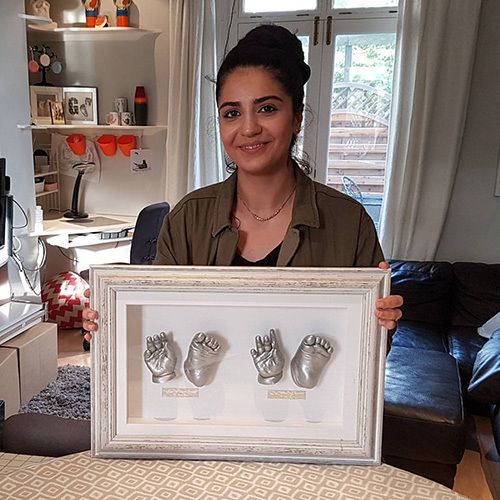 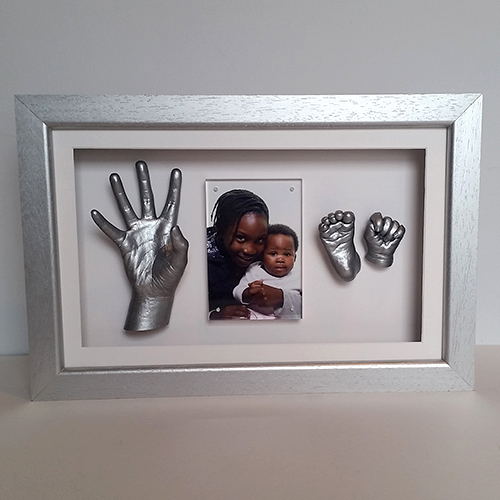 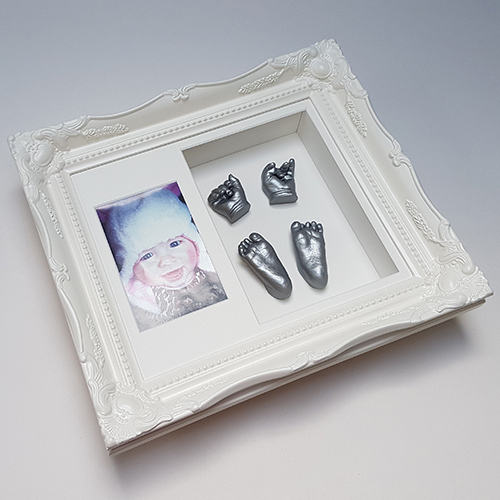 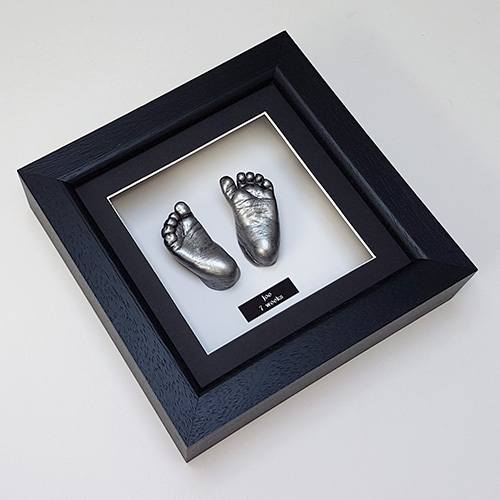 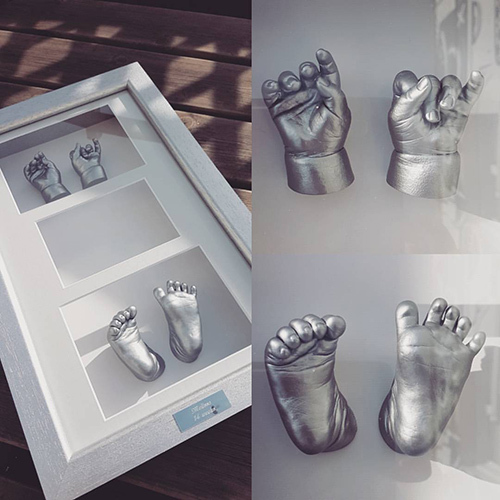 "Just wanted to thank you so much for the frame and print of our daughter Katelyn's feet. 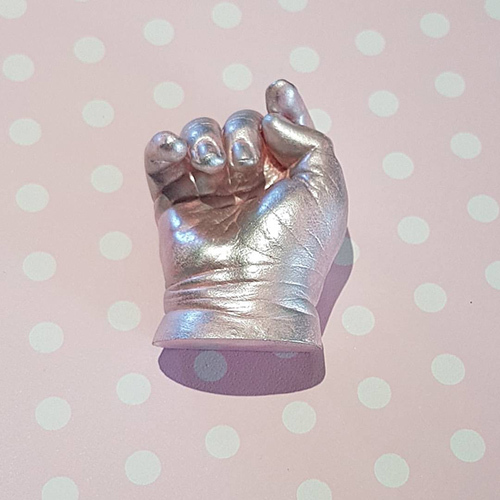 It brought us great comfort this week, as it's nearly a month since she passed away. 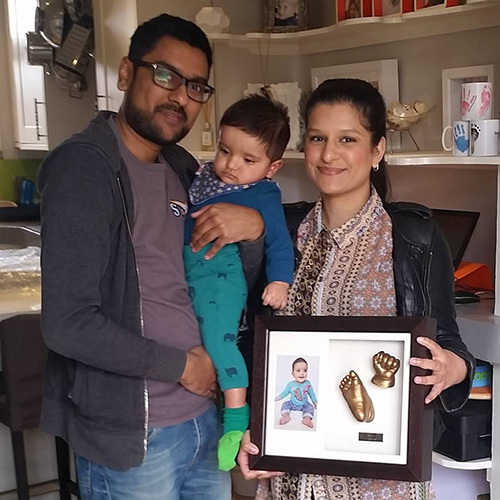 You did a lovely job and we'll treasure it." 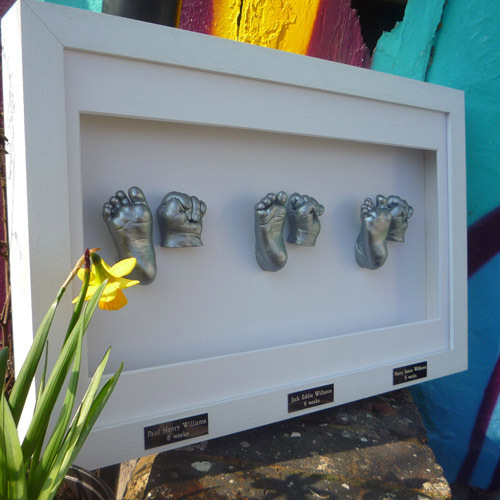 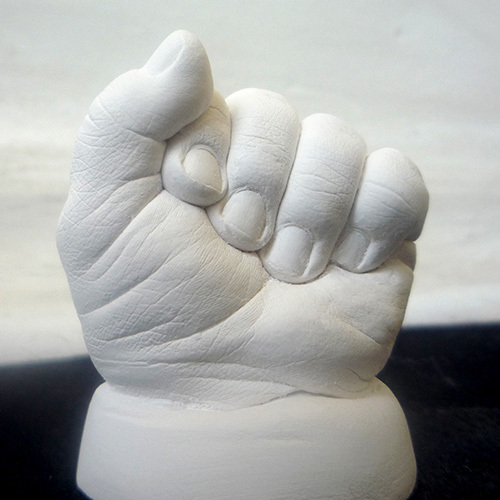 Includes one painted plaster hand cast on a plinth. 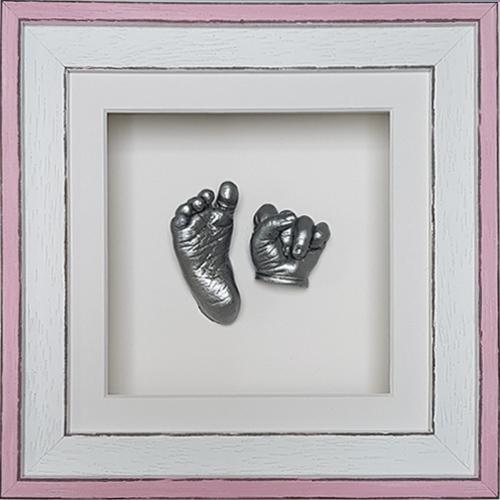 Prices quoted are for a baby under 1 year and vary depending on caster and the age of the baby so please use the suggested price as a guide. 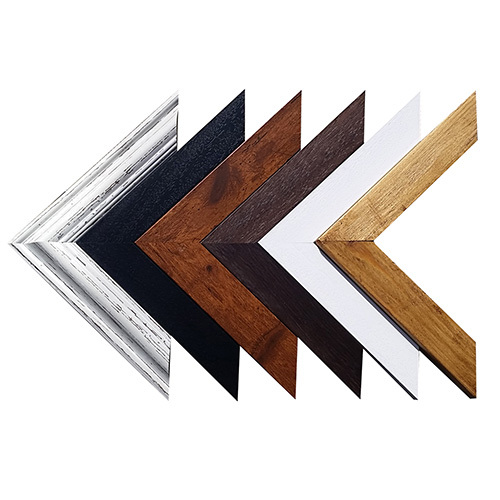 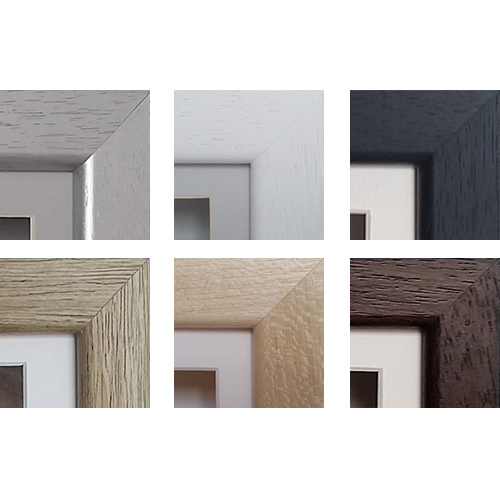 You will choose your paint colour at your appointment. 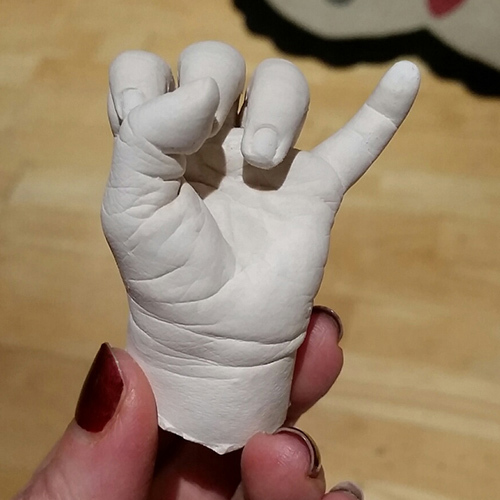 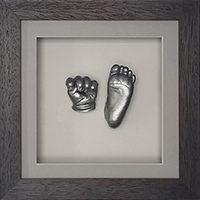 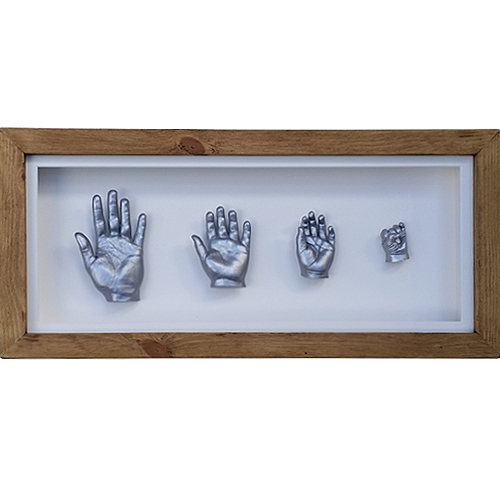 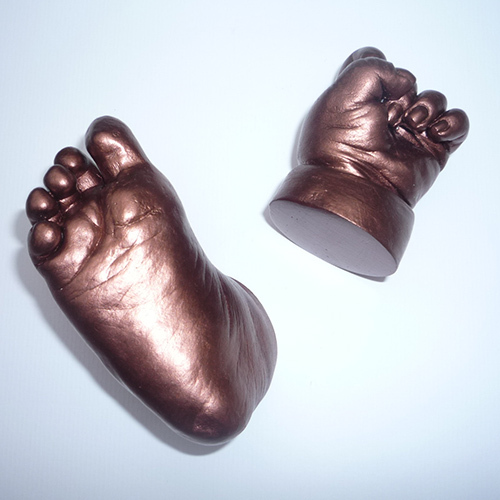 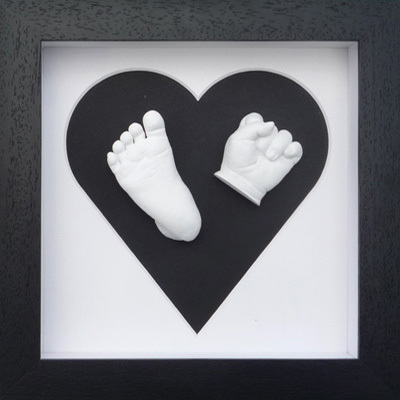 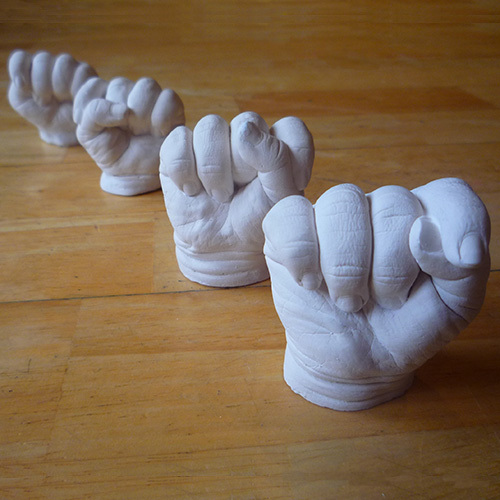 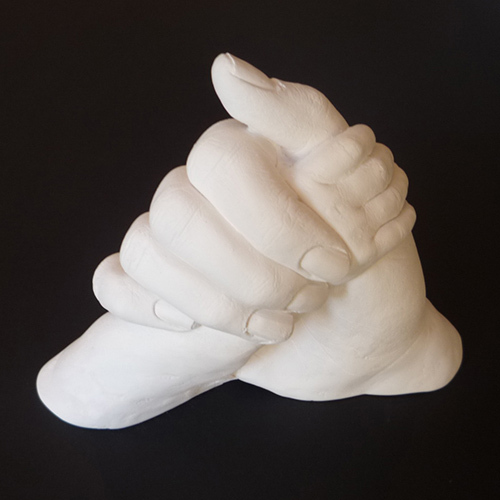 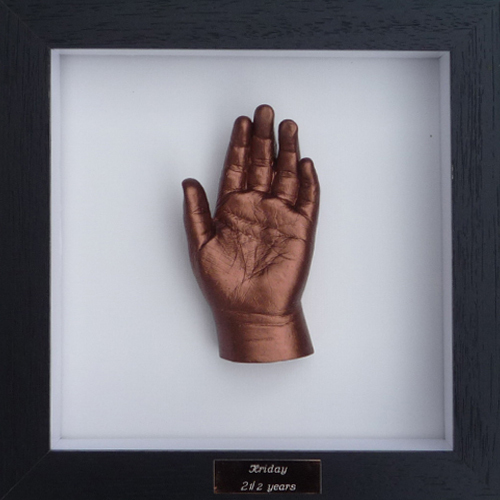 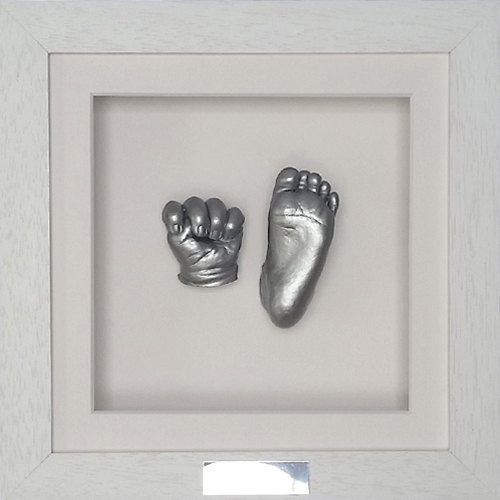 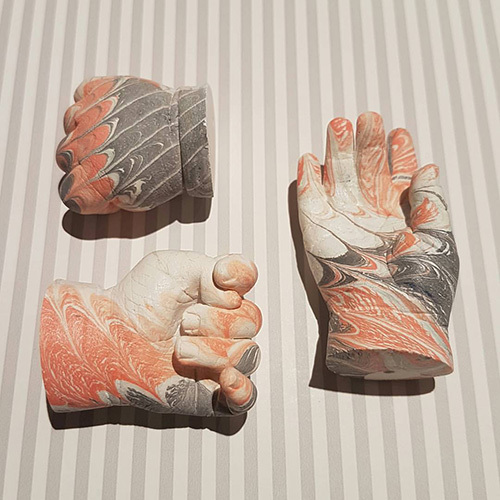 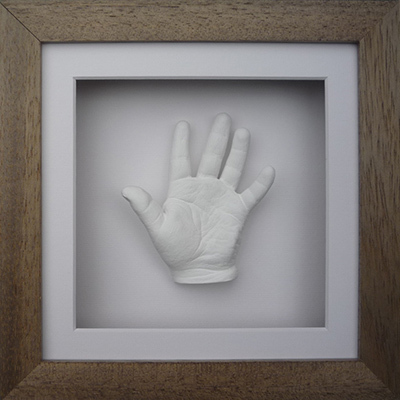 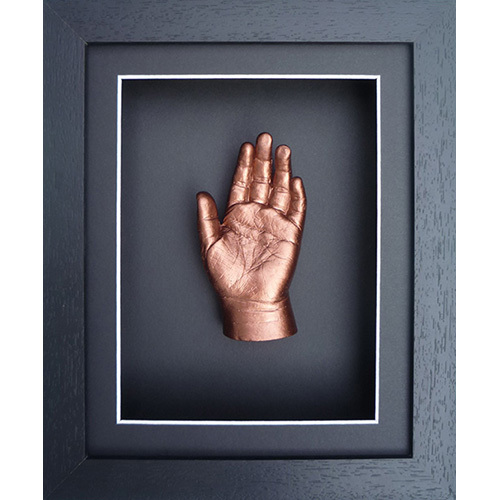 At your appointment, moulds are taken of your baby's hands/feet using dental alginate as the impression material. 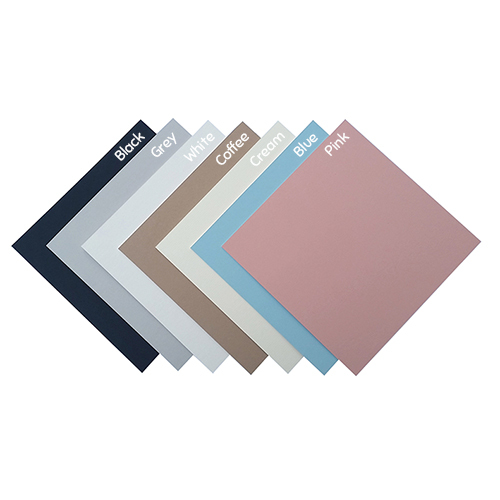 It is the same material used by dentists to make those gum shield-like dental impressions. 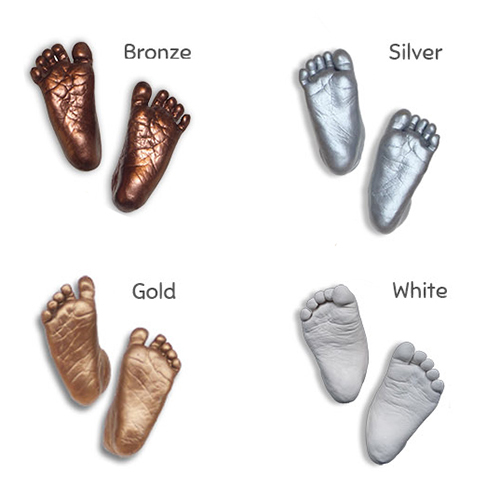 It is completely safe to use on babies' skin and has been used by lifecasters for decades. 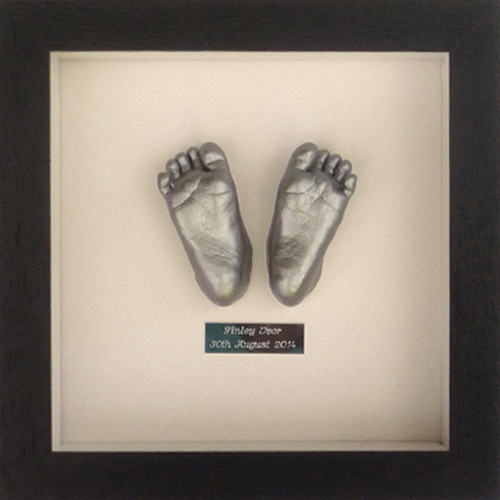 The process to take each mould is very fast - about 2-3 mins, as the mixture sets in that time. 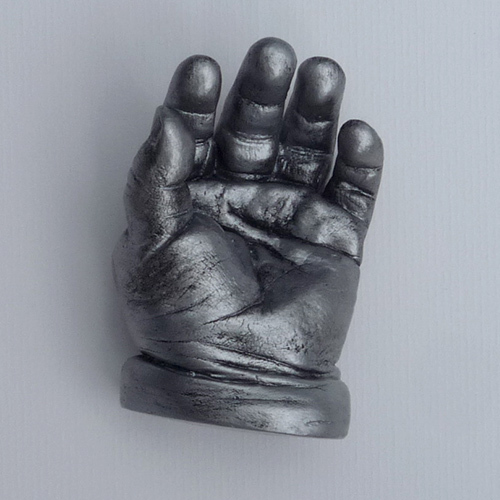 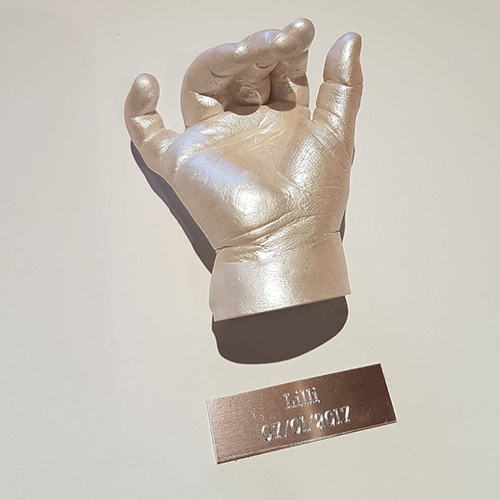 The mould is destroyed as the cast is taken from it so each cast is unique, 1 mould = 1 cast. 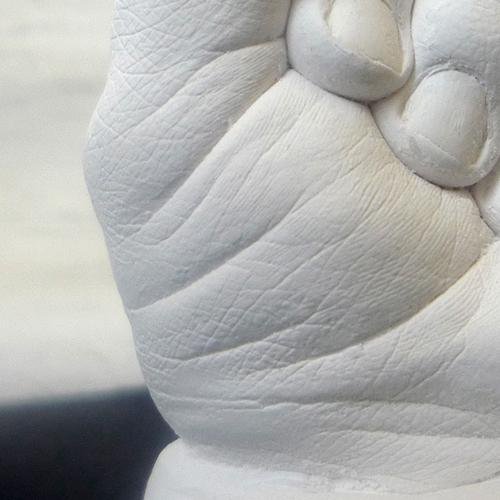 The impression powder must be mixed with cool water, especially in hot weather, or the mixture sets too fast. 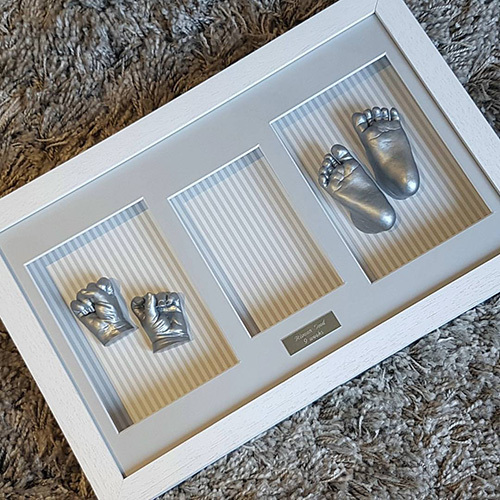 Your baby will not be in the mixture for long but it is wise to bring some toys, milk or food along for older babies to distract them. 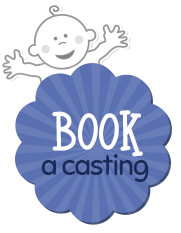 If your child has any kind of skin problem you must seek advice from your GP before having a cast done. 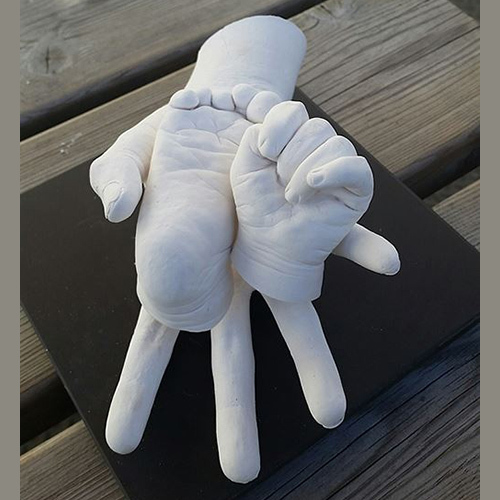 It would also be wise to wait until any blemishes have cleared up as they will show up in the cast as every detail is picked up. 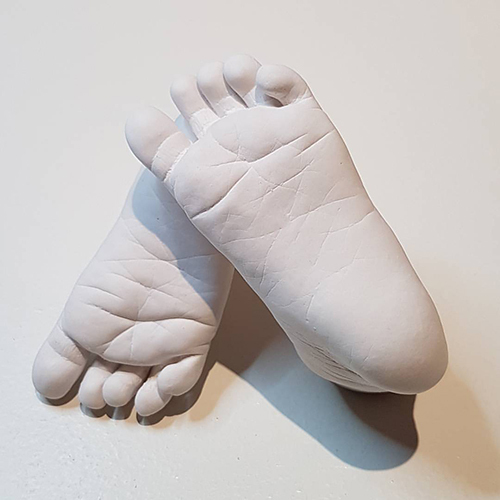 Remember, also, that sock marks will show up in the casts too so don't dress your baby in ribbed socks or take them off as soon as you arrive so the marks wear off. 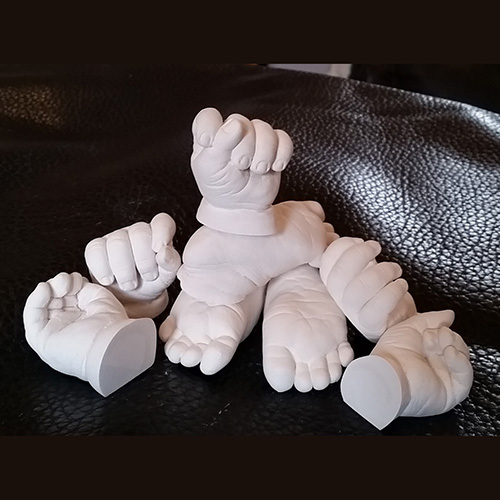 It is best to dress your baby in a short-sleeved vest so your caster has full access to hands and feet. 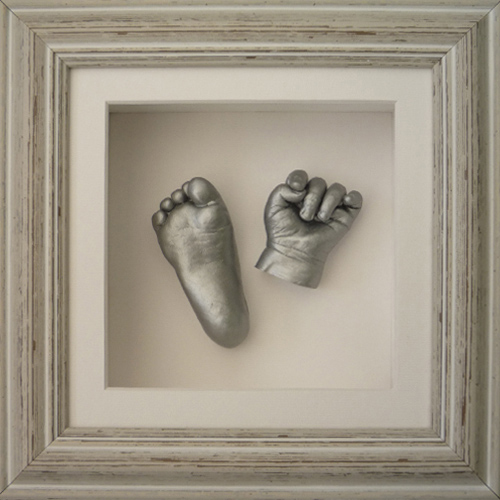 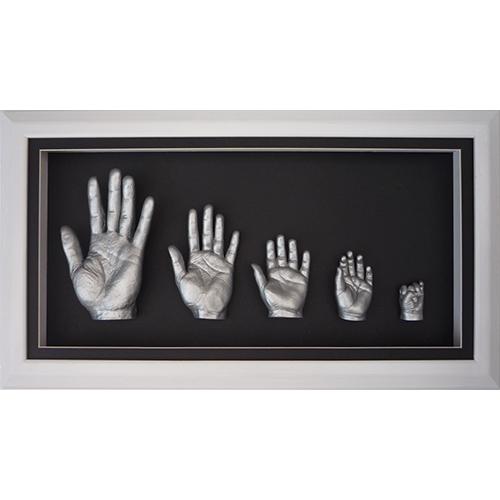 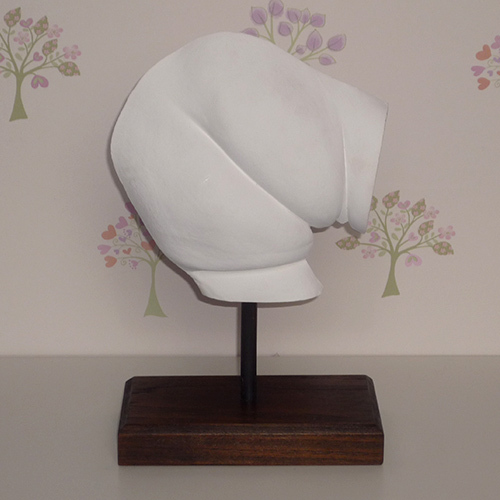 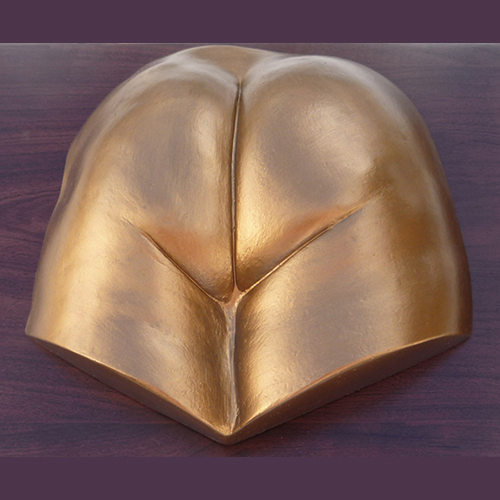 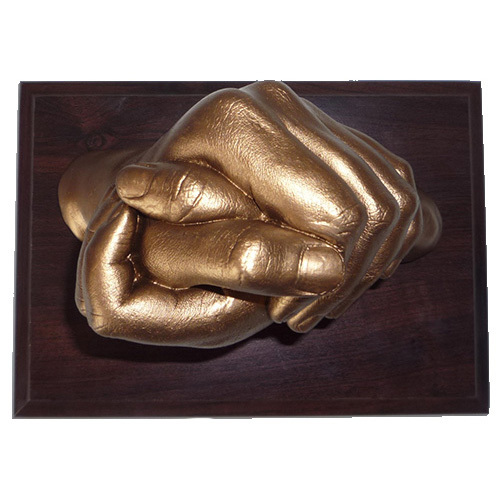 After your appointment, the moulds are cast in plaster using a high definition stone plaster. 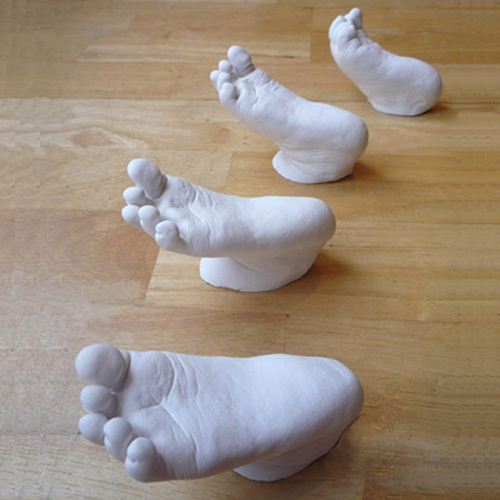 Once set, they are tidied and left to dry out thoroughly for at least 2-3 weeks. 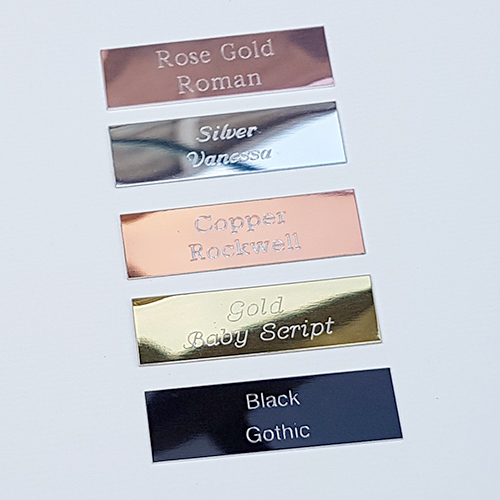 They are then painted in classic or pearl white or metallic silver, rose gold, bronze or gold paint and mounted on the plinth.